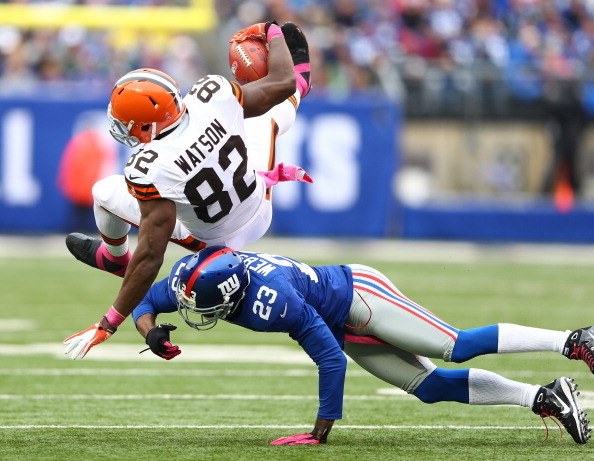 Things seemed to be looking good for the Browns after they jumped on the New York Giants 14-0 Sunday at MetLife Stadium. Then the sleeping Giants woke up, and with it came the Browns 11th straight loss. Eli Manning and Victor Cruz played pitch and catch for three touchdowns, and the Giants ran away from the Browns 41-27 to drop the Browns to 0-5 on the season. The 11 straight losses ties a franchise record for consecutive losses for the Browns, who haven’t won a game since they beat the Jaguars 14-10 at home last November 20th. Blame for Sunday’s setback is across the board, as Giants RB Ahmad Bradshaw contributed a career-best 200 rushing yards and a touchdown on 30 carries to help the Giants cause. Brandon Weeden threw a bad pick late in the half, and it helped the Giants cap off 17 unanswered points over the final 2:52 of the second quarter to claim a 27-17 advantage, converting two takeaways by safety Stevie Brown into touchdowns by Bradshaw and Cruz. Manning finished with 259 yards on 25-of-37 passing and was intercepted once in directing a Giants offense that racked up 502 total yards on the afternoon. Weeden completed 22-of-35 throws for 291 yards and a pair of touchdowns to fellow rookie Josh Gordon, but was intercepted twice as the Browns fell to 0-5 for the first time since they came back into the league in 1999. Trent Richardson put up 81 rushing yards and a touchdown on 17 attempts. Jordan Norwood led the Browns receivers with a 9 grabs for 81 yards. Bradshaw’s 4-yard touchdown off Weeden’s pick tied the game at 17 with 2:52 left in the first half. 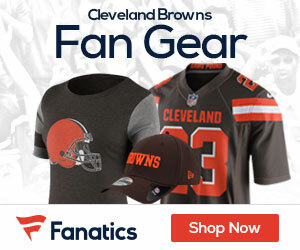 Josh Cribbs fumbled to give the Giants first down on the Browns’ 29. Five plays later, Manning connected with Cruz on the second of the receiver’s three touchdown receptions on the day, this one for the 7-yard score to give the Giants their first lead of the day. New York kicker Lawrence Tynes, who last week missed a field-goal attempt for the first time this season, was back on track, nailing a 40-yarder with four seconds left in the half to give the Giants a 10-point lead. The Browns were never in it after that, as they trailed trailed 34-20 at the end of three, and rookie David Wilson raced in from 40 yards out to give the Giants a commanding 41-20 lead in the fourth quarter. Next Sunday the Browns play host to the 3-2 Bengals, who they lost to back in week two.